Dr. Charles E. Gannon’s award-winning Caine Riordan/Terran Republic hard sf novels have, as of this writing, all been Nebula finalists and national best-sellers. His epic fantasy series, The Broken World, is forthcoming from Baen Books. He also collaborates with Eric Flint in the NYT and WSJ best-selling Ring of Fire alternate history series. His other novels and short fiction straddle the divide between hard SF and technothrillers and much of this work includes collaborations in the Starfire, Honorverse, Man-Kzin, and War World universes. He also worked extensively in game design and writing, as well as being a scriptwriter and producer in New York City, where his clients included the United Nations, the World Health Organization, and PBS. A Distinguished Professor of English and Fulbright Senior Specialist, Gannon’s Rumors of War and Infernal Machines won the 2006 American Library Association Choice Award for Outstanding Book. 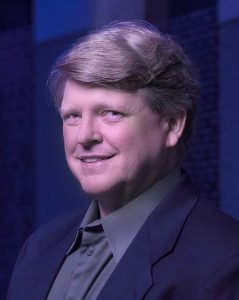 He is a recipient of five Fulbright Fellowships/Grants and has been a subject matter expert both for national media venues such as NPR and the Discovery Channel, as well as for various intelligence and defense agencies , including the Pentagon, Air Force, Army, Marines, Navy, NATO, DARPA, NRO, DHS, NASA, and several other organizations with which he signed NDA’s.